In this week’s episode of the StoryCorps podcast, we share stories from and about people who did what they knew was right. Whether it was feeding strangers during the Great Depression, offering friendship to another parent in a similar situation, or going beyond the requirements of their jobs to look out for those most vulnerable, all of these people were looking out for others. Our first story comes from our archives. In 2005, Laurel Kaae brought her mother, Virginia Fairbrother (pictured at left), to a StoryBooth stop in North Dakota. At the time, Virginia was 81 years old, and when Laurel asked her who had the greatest most influence on her life, she did not hesitate to name her father, Homer Hill. Virginia grew up during the Great Depression, which began after the stock market crash in October 1929. Like so many others, her family had very little, but they were fortunate because her father owned the drugstore in town. At StoryCorps, Virginia tells her daughter a story about the day a stranger showed up at their doorstep looking for some help for his hungry family and what her father did. Next is a recent story told by two fathers who are both raising children on the autism spectrum. One of them, Charles Jones, has a 12-year-old son named Malik, the other, Anthony Merkerson, has two children on the spectrum, Elijah, 10, and Amaya, 8. 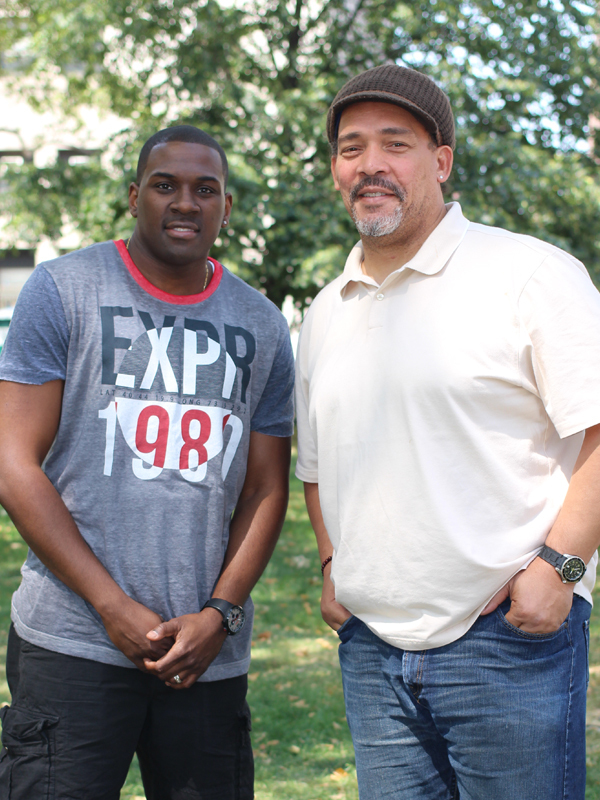 Years ago, Charles (below right), a filmmaker, started a support group for fathers like himself to provide them a space to feel safe sharing their feelings, and five years ago, at a New York Mets game on Autism Awareness Day, Charles met Anthony (below left), a police officer for the Metropolitan Transit Authority in New York City. Anthony joined Charles’ group and they have since become close friends. They came to StoryCorps to talk about what they have learned from one another, and the concerns they have for their sons as young black men growing up in a society where they are at constant risk of being targeted and misunderstood because they are autistic. Our final story takes place in a California nursing home called Valley Springs Manor where Maurice Rowland (on the left in the player above) was a cook, and Miguel Alvarez (on the right in the player above) was a janitor. They were at work one day in 2014 when the company that managed the home abruptly shut it down leaving many of the elderly residents with nowhere to go. When the staff stopped getting paid, they abandoned those living in the home—all except Maurice and Miguel. 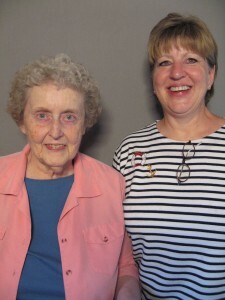 The two of them stayed at work for days caring for the remaining residents, and at StoryCorps they recall the decision they made to remain until the fire department and the sheriff came to take over. This incident led to legislation known as the Residential Care for the Elderly Reform Act of 2014, which protects residents from being abandoned after a shutdown.